A drawing based on the last Ask Waffle question thing I did recently. I was actually going to post this drawing first but decided maybe it would be best to tell the story the other way first and post this next. 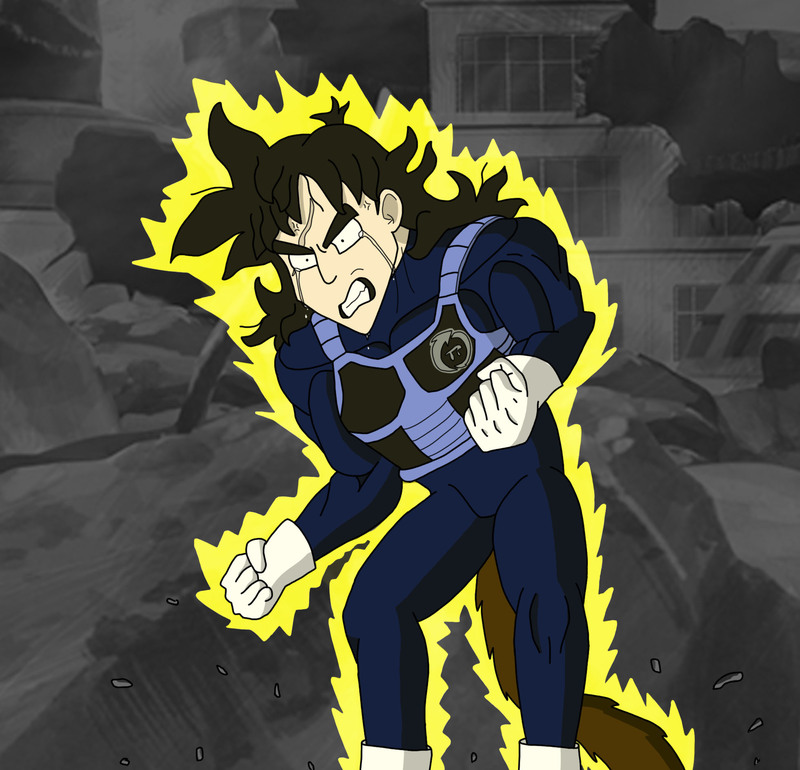 For those who don't know this is supposed to represent the first time Waffle went Super Saiyan. I'm actually not too pleased with this drawing. Its one of those things where something looks good in my head and then I try to actually draw it out and it turns into garbage. Sometimes I try things that are beyond my skill level and it get frustrating quickly. I know that's how you learn but, ugh! This wasn't supposed to go past his waist (that's all the reference picture showed) but I liked the way I did his tail so I kept it in. Not sure if that was the best idea or not.